The 2015 Marcus Wallenberg Prize is being awarded to a group of researchers from Japan and France for their development of an energy-efficient method to produce nanofibrillated cellulose. Stabilizers in chemicals, food and cosmetics, raw materials for new types of textile fibres or composites or materials for wound dressing are just a few examples of the wide field of possible applications. Nanofibrillated cellulose has great potentials. This nanoscale material has a surface area and shape that enables the formation of strong networks. The manufacturing process where the wood pulp is mechanically broken down to its nanoscale building blocks is however very energy-intensive, which has hampered industrial interest so far. Professor Akira Isogai and Associate Professor Tsuguyuki Saito from the University of Tokyo and Dr Yoshiharu Nishiyama from the Centre de recherches sur les macromolécules végétales, Cermav in Grenoble, France, have found and developed an energy-efficient way to produce nanofibrillated cellulose. Their discovery on using a specific oxidation reaction as a tool to open up the wood material prior to mechanical disintegration has reduced the energy demand dramatically. The three scientists are awarded the 2015 Marcus Wallenberg Prize of SEK 2 million for this groundbreaking discovery. – The work of the prize-winners has stimulated more intensive research on nanofibrillated cellulose and its applications around the world, says Professor Johanna Buchert from VTT Technical Research Centre of Finland. She is also a member of the Prize Selection Committee of the Marcus Wallenberg Foundation. The generalized term nanocellulose refers to both nanofibrillated celluloses and cellulose nanocrystals. They have similar chemical compositions but different properties such as size and crystallinity. Nanofibrillated cellulose consists of longer fibrils and it is more flexible than nanocrystalline cellulose. Nanocrystalline cellulose is obtained by chemical removal of the amorphous parts of the fibre. The 2013 Marcus Wallenberg Prize was awarded Professor Derek Gray, McGill University, Canada, for his research within this field. Nanofibrillated cellulose on the other hand is produced from wood pulp by mechanical treatment. In addition to the crystalline regions it also contains parts of the amorphous regions. Depending on the process the fibres can either become organized in bundles of fibrils or isolated in long and spaghetti-like fibrils. 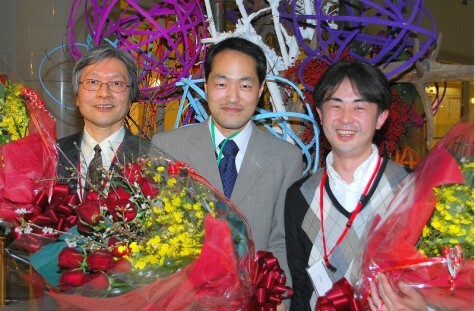 Nanofibrillated cellulose has become more interesting for various applications since the Marcus Wallenberg Prize-winners Akira Isogai, Tsuguyuki Saito and Yoshiharu Nishiyama were able to exploit the specific oxidation reaction as a tool to facilitate the mechanical disintegration of the wood pulp. By their method the energy need can be reduced from 30 000 kWh/ton to 100-500 kWh/ton. The cellulose produced this way is even more homogeneous. – It is a significant discovery that paves the way for nanocellulose being one key product of the future forest industry. The energy consumption is a very important parameter, and the traditional production of nanofibrillated cellulose has been too energy-intensive to attract industrial interest, says Johanna Buchert. Crystal segments in combination with the flexibility of the fibrillar structure gives nanofibrillated cellulose the potential to form thin film barriers, retain large amounts of water, be able to modify rheological properties of liquids or in dry form create highly porous and light structures. Its strength and lightness is valuable for making reinforced composites, improved paper grades and textile fibres, while the water retention ability and viscosity is useful for producing stabilizers in food, cosmetics, paints and adhesives or even in pharmaceutical products. – We must develop new products from our forest raw material to renew the forest industry. This year’s prize has opened up a new pathway and created a new route of opportunities. Professor Akira Isogai graduated from The University of Tokyo in 1980, worked as a postdoctoral fellow at the Institute of Paper Chemistry in Appleton, WI, USA, and as a research associate and visiting scientist at the US Forest Products Laboratory, Madison, USA. In 1994 he was appointed as an Associate Professor at The University of Tokyo and in 2003 he was promoted to full Professor. Dr Yoshiharu Nishiyama graduated in Agriculture from the University of Tokyo in 1995, and got his master’s degree in 1997 from the same university. He obtained his PhD in 2000 and started working as an Assistant Professor. Since 2004 he has been a 1st class CNRS researcher at the Centre de recherches sur les macromolécules végétales, Cermav, Grenoble, France. 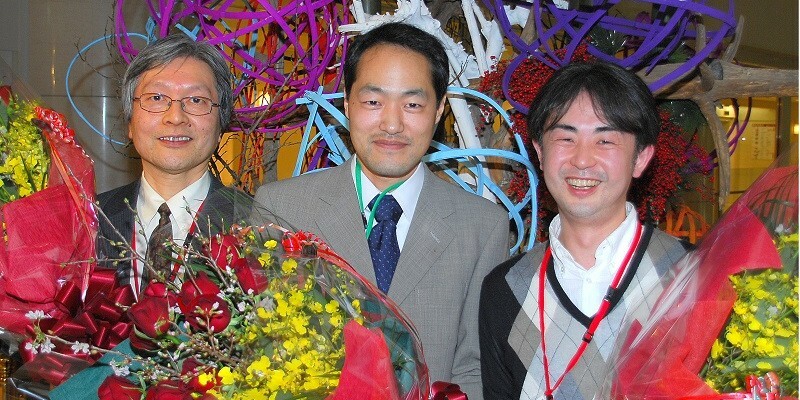 Dr Tsuguyuki Saito graduated in 2003 from the University of Tokyo, got his master’s degree from the same university in 2005 and obtained his PhD three years later, in 2008. During his PhD studies he was awarded a Marie-Curie Fellowship, which supported his work with Dr Yoshiharu Nishiyama at Cermav, France. During 2012 and 2013 he worked as visiting scientist with Professor Lars A Berglund at the Royal Institute of Technology, Sweden. He is now an Associate Professor at the University of Tokyo. MWP 2015 Announcement: Prof Akira Isogai, Dr. Yoshiharu Nishiyama and Associate Prof Tsuguyuki Saito (Photo: Per Bodnar). The purpose of the Prize is to recognize, encourage and stimulate pathbreaking scientific achievements which contribute significantly to broadening knowledge and to technical development within the fields of importance to forestry and forest industries.